The RCL FOODS DO MORE FOUNDATION has brought smiles to the faces of thousands of Hammarsdale’s children with a donation of toys, just in time for Christmas. 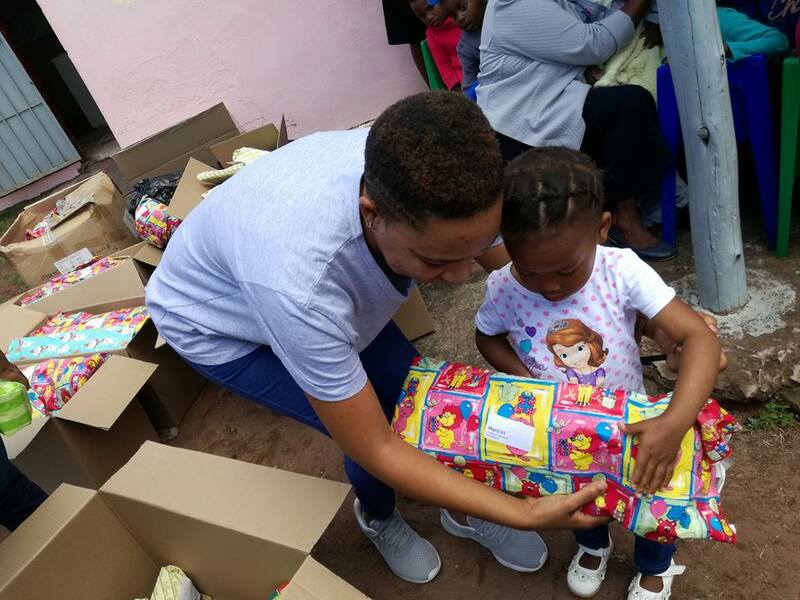 14 December 2017 – Durban: The RCL FOODS DO MORE FOUNDATION has collected cash and new toys for 1 800 children of Hammarsdale. As part of the Foundation’s #DoMoreLove campaign, RCL FOODS employees, business partners and suppliers collaborated to collect toys for those less fortunate. The toys were distributed in partnership with the Lima Rural Development Foundation and handed over on 14 December by representatives of the participating businesses. The recipients included 103 children from Lily of the Valley Children’s Village, a home that cares for children and youth who have been marginalized through HIV, AIDS and a broken society; and 1 397 children from seven Hammarsdale wards (Ward no. 1,4,5,6,7,9,103). The value of the donation was in excess of R90 000. The 2017 campaign by the Foundation asked employees from the participating companies to buy and donate a toy. On 12 December, 100 volunteers spent over 1 040 hours wrapping all the gifts. The DO MORE FOUNDATION was established by RCL FOODS in 2017 as part of the company’s strategy to facilitate impactful change through partnerships. It is a separate non-profit organisation that undertakes all of RCL FOODS’ CSI initiatives. The #DoMoreLove campaign was part of a broader multi-stakeholder community development initiative in the Hammarsdale area of KwaZulu-Natal called DoMore4Hammarsdale. DoMore4Hammarsdale was inspired by the DO MORE FOUNDATION encouraging other organisations to collaborate and partner for the benefit of the community.